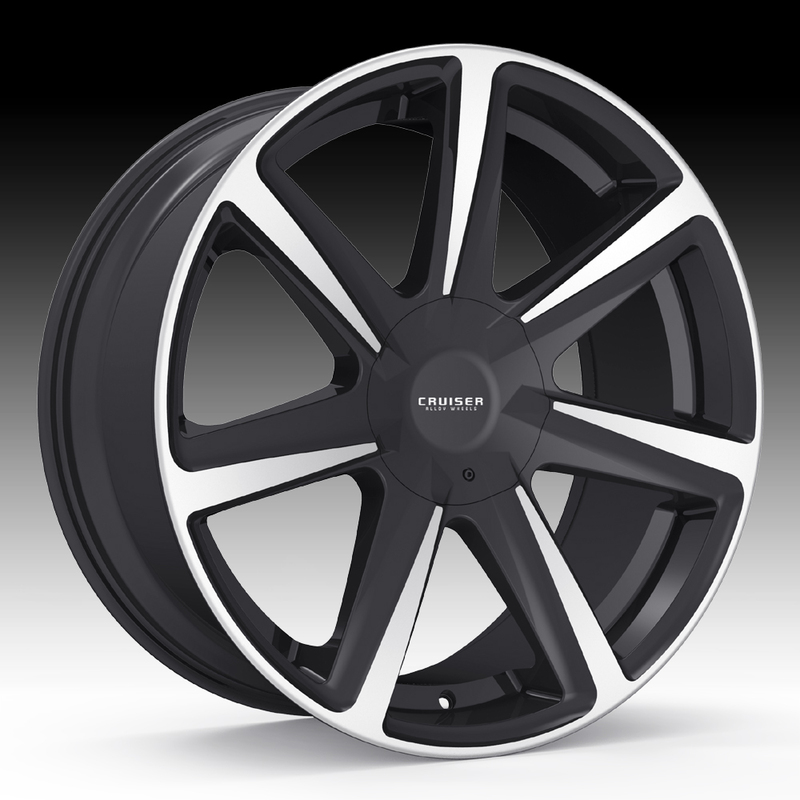 The Cruiser Alloy 922MB Kinetic machined black wheel is available in 20 and 22 inch sizes. The 922MB Kinetic is available for trucks, SUV's and low offset passenger cars. 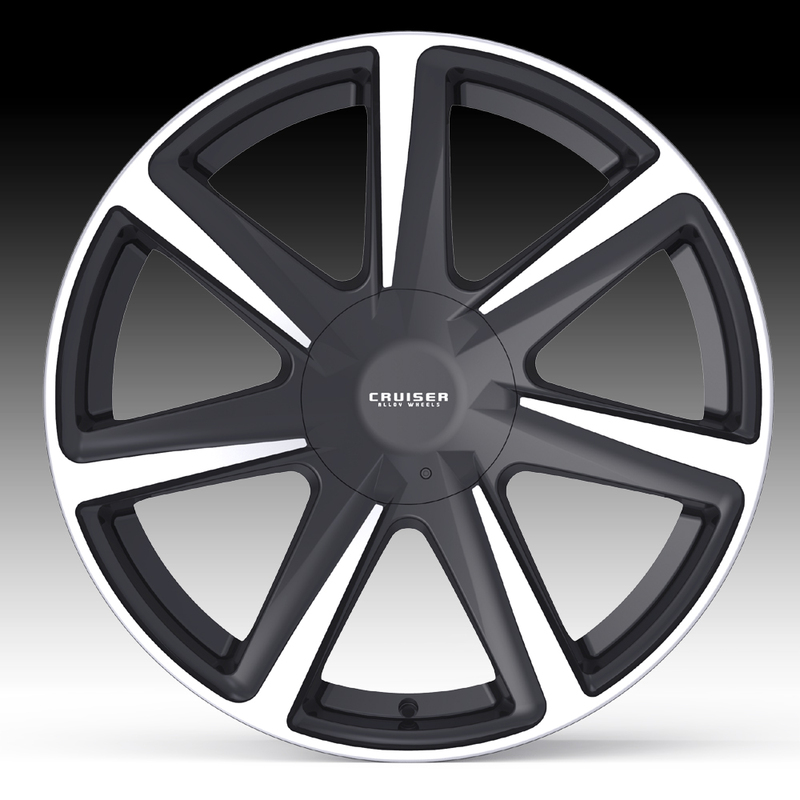 Free shipping on Cruiser Alloy 922MB wheels. 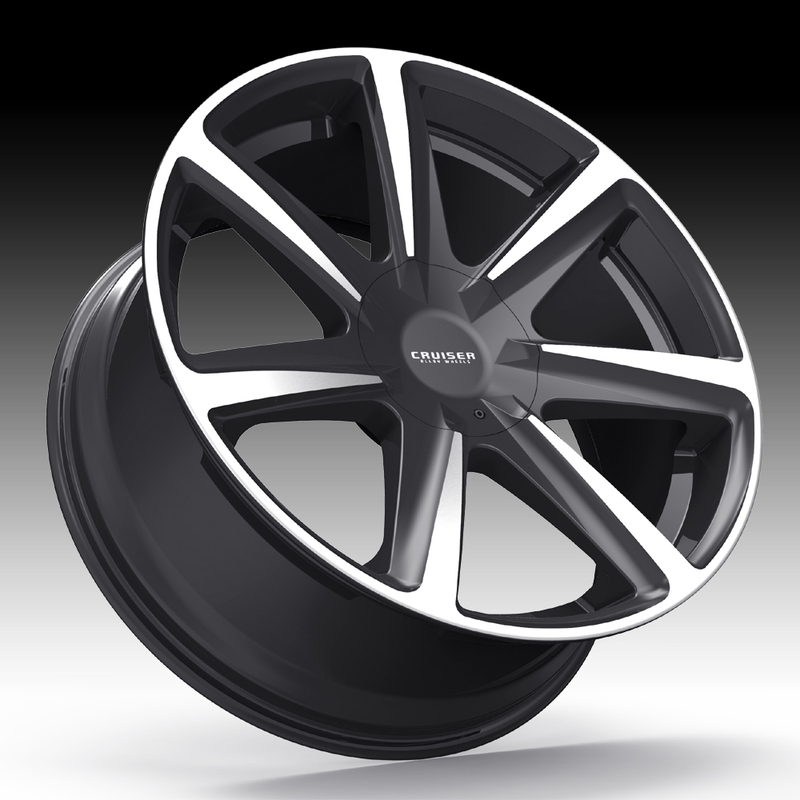 Free lugs and locks included with the purchase of a set of 4 Cruiser Alloy 922MB Kinetic machined black wheels.